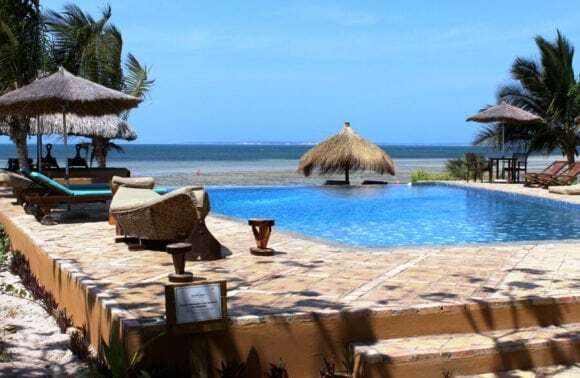 Coral Lodge is a modern, African-style beach resort, which offers you the latest in luxury and comfort while maintaining that authentic feel of Mozambican pureness. The resort’s design, by Dutch designer Edward van Vliet, incorporates the colors of its environment using wood and brightly-colored textures. 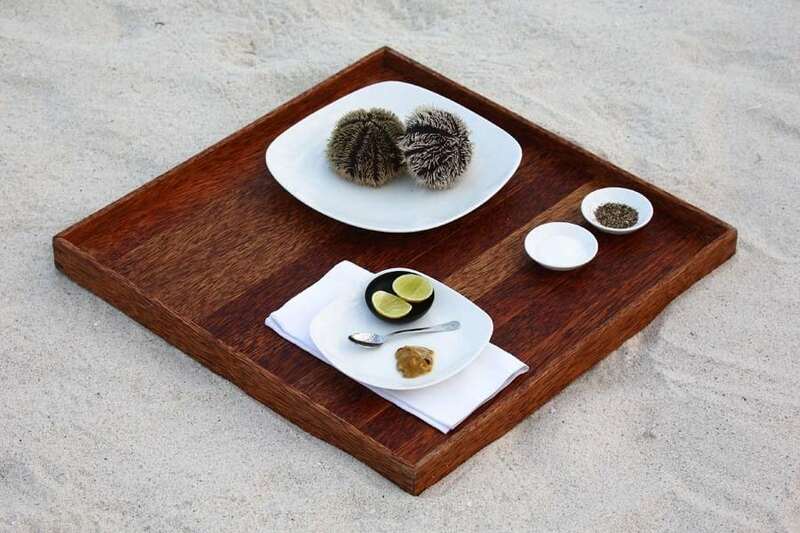 These natural materials make the resort blend in perfectly with the surroundings. 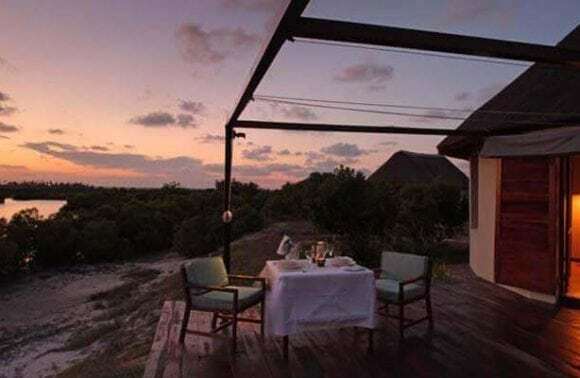 Coral Lodge’s villas have been built on top of the dunes to allow guests to get the full benefit of the incredible views and the constant breeze from the Indian Ocean. 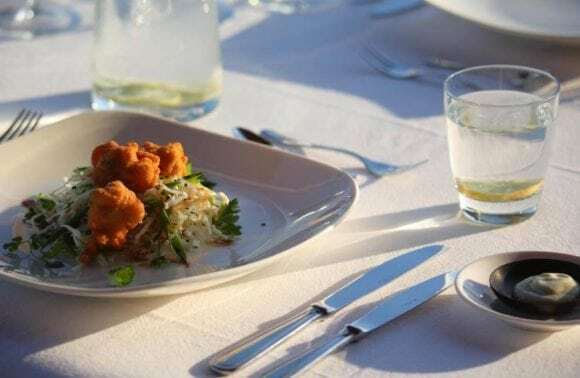 Please contact us for a fully inclusive package, with specially reduced IT Fares for flights, plus transfers to the resort & accommodation on a fully inclusive basis. Children under 3 yrs stay for free. Children from 3 – 12 yrs pay 40% of the rack rate, sharing with an adult. Children between 12 and 18 years pay 50% of the rack rate, sharing with an adult. Chartered flight from Nampula, Pemba or Beira subject to quotation. 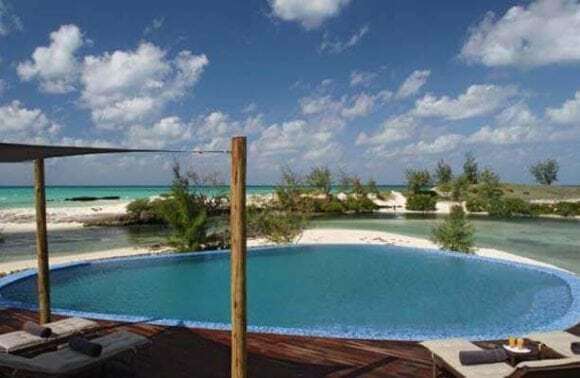 Coral Lodge 15.41 comprises 10 villas, each with a surface area of about 100m² (1076ft²). For optimal privacy and relaxation the living space includes informal sitting areas, a bedroom, a bathroom and a big terrace. In two of the villas an extra bedroom is included for 2 children or an extra adult. The extra bedroom has his own seperate toilet and basin. 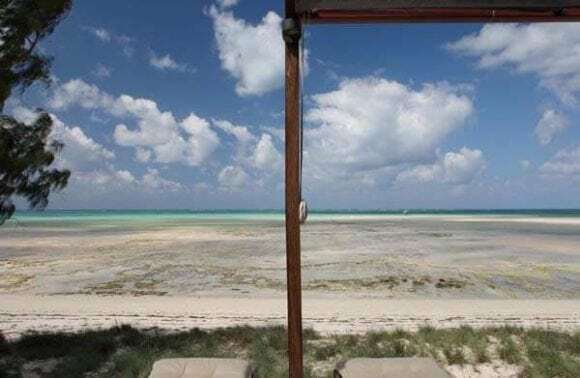 Five villas have direct ocean view situated on top of the dunes at the border of the beach. 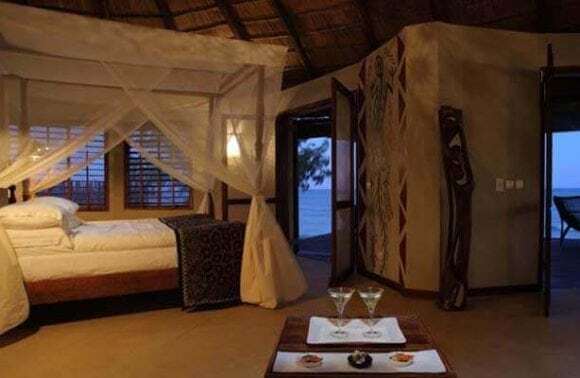 The other 5 villas also situated on top of the dunes, are more secluded and have direct view on the mangrove forest and Ilha de Moçambique. To fully compliment the exterior design of the villas, Edward van Vliet used a blend of African and modern styles for the furniture that decorates the interior of the villas. The bedrooms have been furnished with the award-winning Evening Breeze bed. These beautifully-designed canopy beds allow for full climate control and provide you with a superb sleeping experience. And if that wasn’t enough, natural materials were used to manufacture the hardness-adjustable mattresses and cushions as only COCO-MAT can. To keep it natural, the windows and shutters have been designed with maximum adjustability in mind so that a gentle breeze can always flow through the rooms. 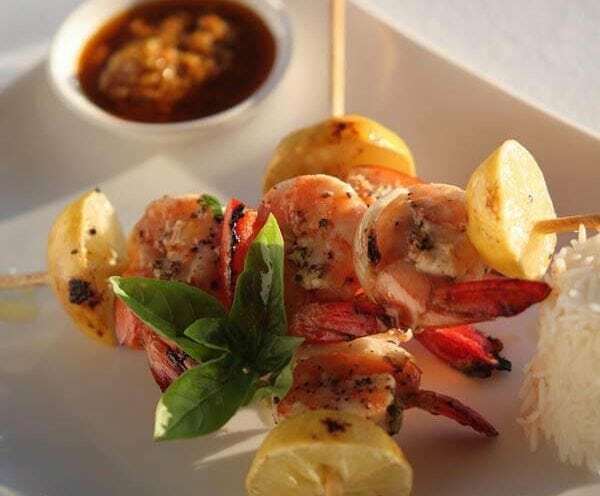 The lounge bar and restaurant, The Reef, is situated at the very tip of the peninsula. 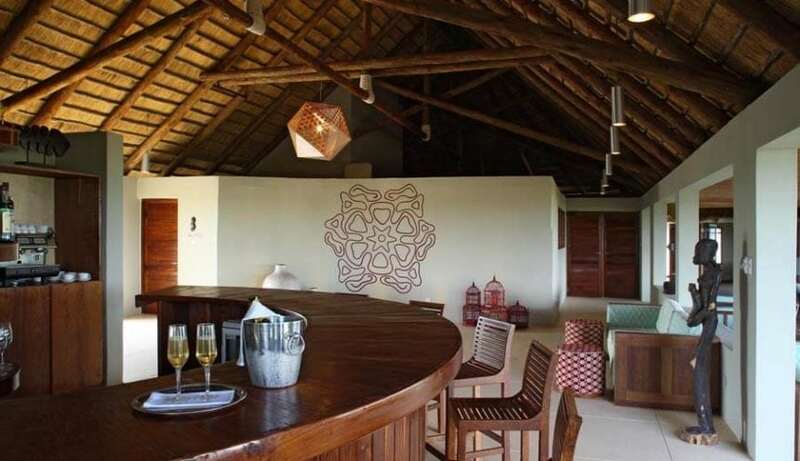 The building is an open wooden structure with a high thatched roof that can accommodate in- and outdoor dining. 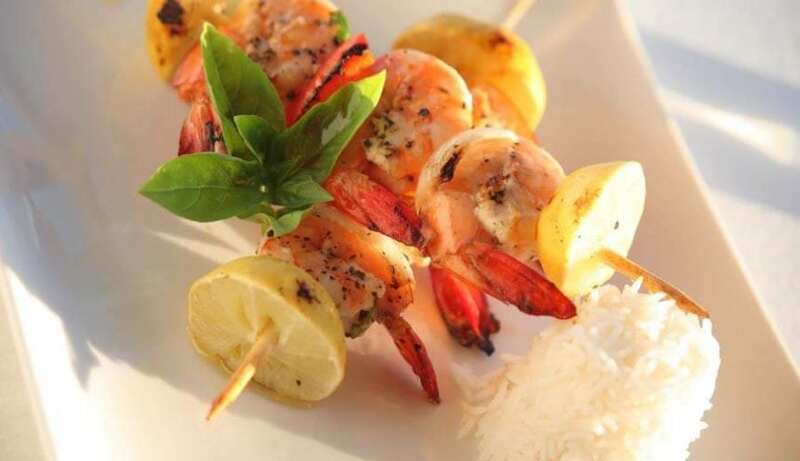 Here your senses will be excited with our culinary delights. 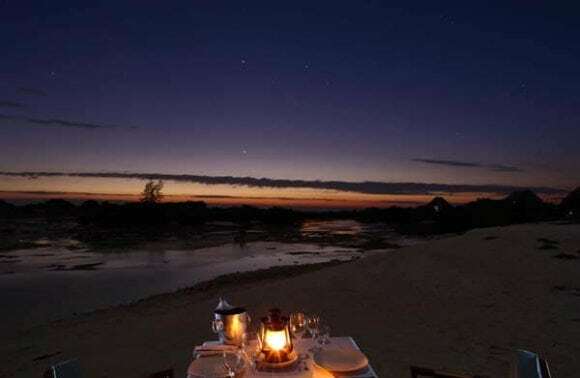 Accompanied by the sound of the sea and the soothing hum of the area’s nocturnal animals, you will experience the amazing flavors of Mozambique. The pool is located where the Laguna and the ocean meet. After a morning swim you can watch the tide feeding the mangroves and listen to the birds waking up the other animals. In the afternoon you can dive in to cool down from your activities or simply relax by the pool and enjoy a refreshing drink or some delicious snacks. 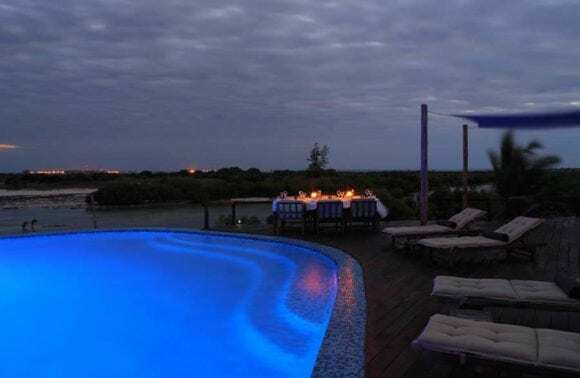 The infinity pool is also the perfect place for a private dinner under the stars. 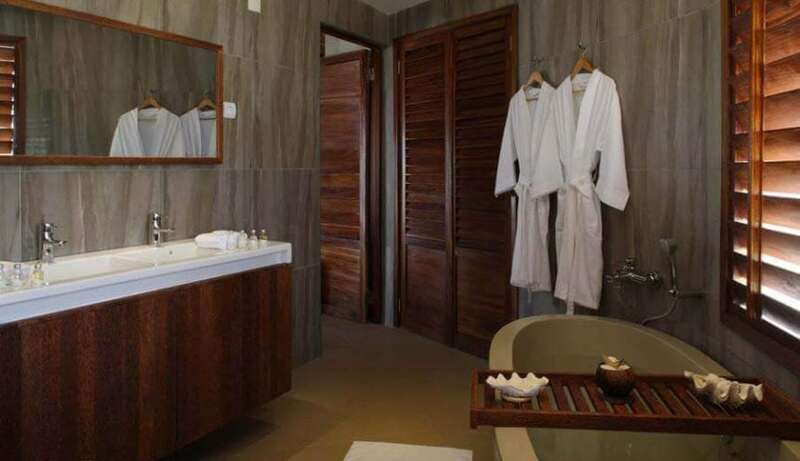 The Coral Lodge spa is located at villa number 5, overlooking the beach and near the pool and restaurant. You can enjoy a treatment inside or outside on the deck of the spa or at your own villa. 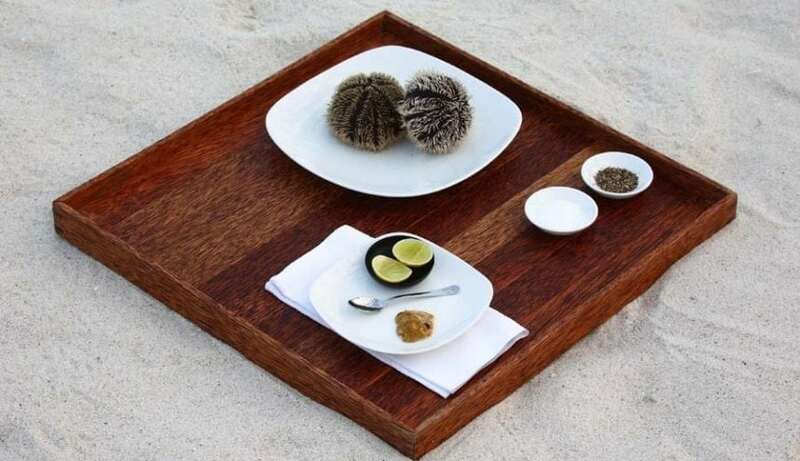 For an extra special experience enjoy a massage at one of the secluded locations on Varanda. 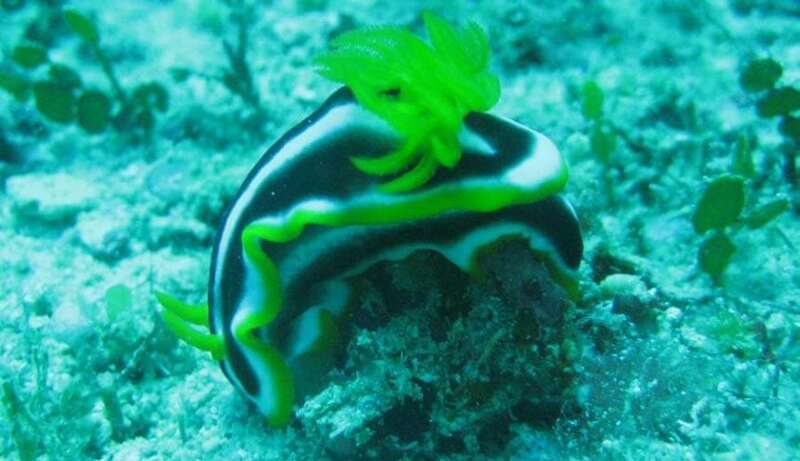 The Indian Ocean is teeming with fish, which benefits everyone in Mozambique. 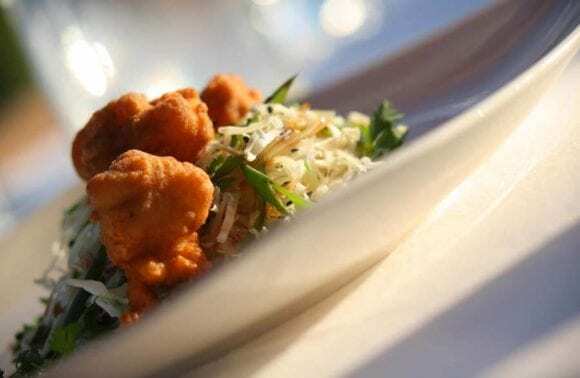 If you enjoy exotic fish dishes, you will appreciate this fact when you dine at Coral Lodge 15.41. 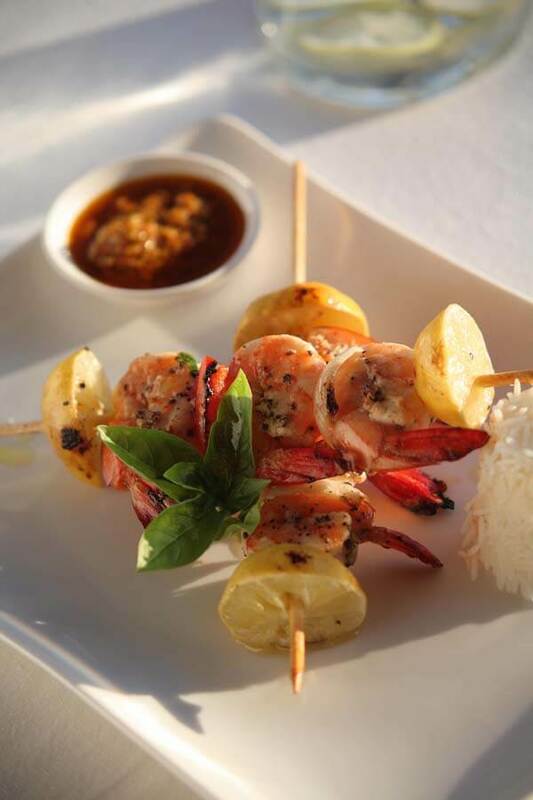 Using only local ingredients and supplies, the chefs prepare everything themselves. 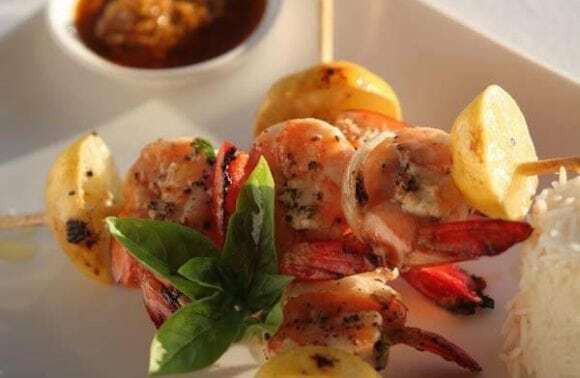 Their delicious Portuguese pastries will make your mouth water and the gastronomical skills displayed in the variation of the daily culinary dinner menu will surely impress you. The dishes are infused with the original flavors of Mozambique and the influences from Portugal and the Middle East. 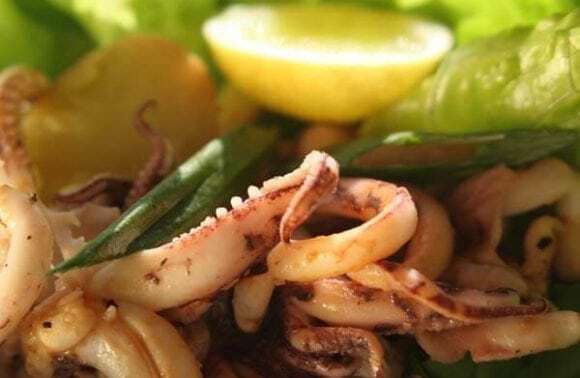 All meals suit the tropical Mozambican climate. 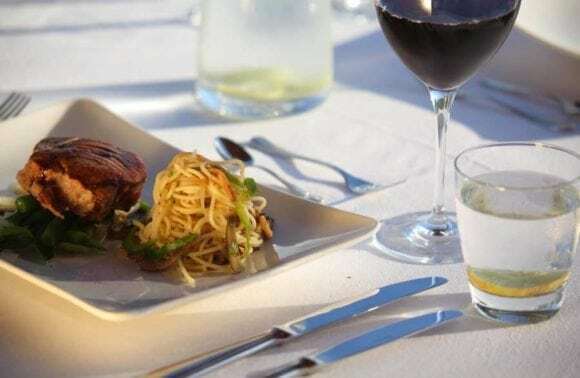 During the day freshly-made snacks and small bites are served, which will constantly surprise you both in taste and presentation. 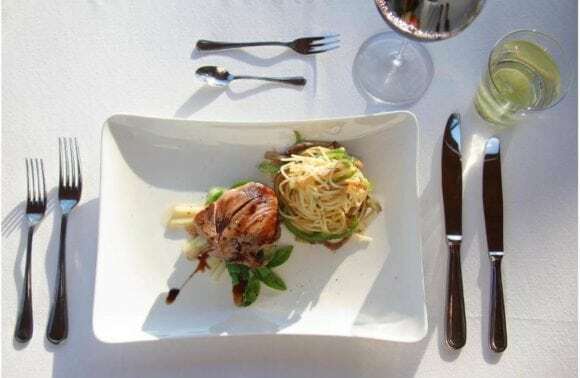 And to compliment these delicious dishes you can choose from a number of great wines from South Africa and Portugal. 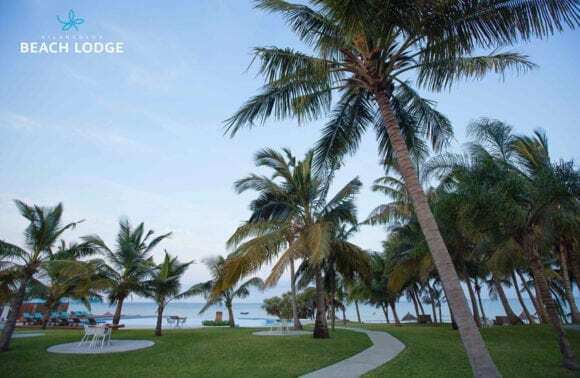 The exact coordinates for Coral Lodge 15.41 are part of the name, i.e. 15 degrees south latitude and 41 degrees east longitude. 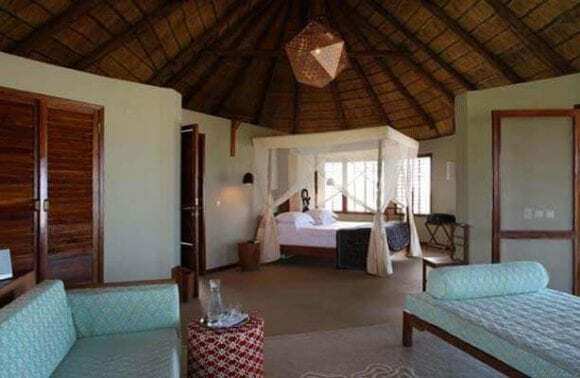 In other words: the lodge is located in the north of Mozambique. 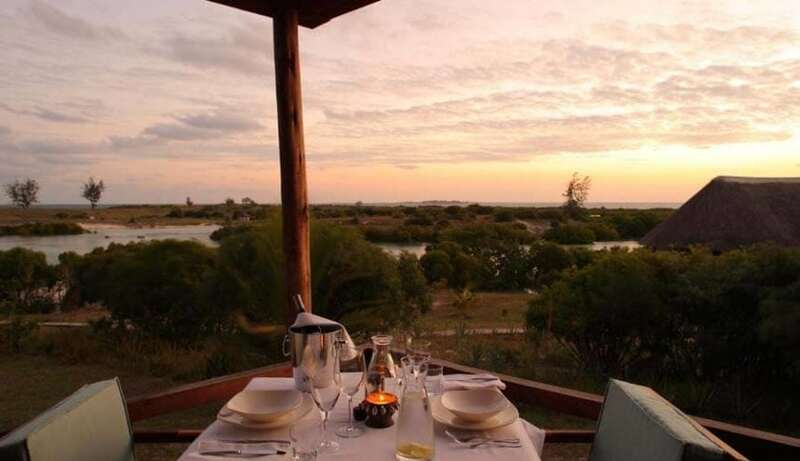 The area around the lodge is called Varanda, a privately-owned nature reserve with dunes, beaches and mangroves. 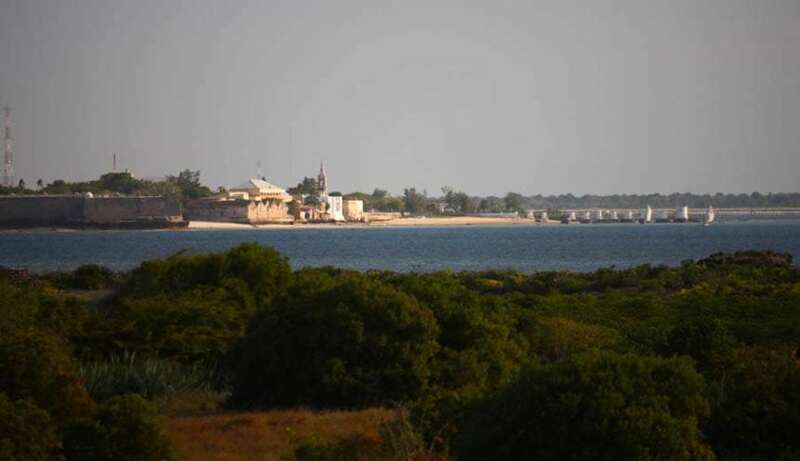 Varanda lies at the tip of a peninsula and is only a short distance from Ilha de Moçambique (Mozambique Island), the former capital of Mozambique. 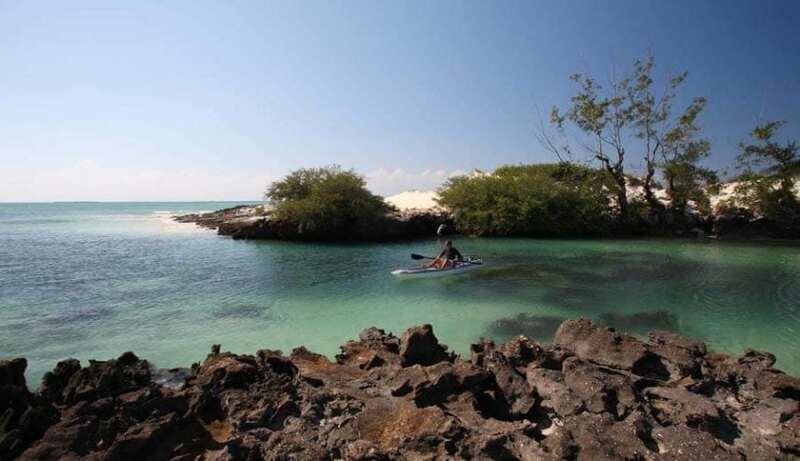 After the civil war ended in 1992, Mozambique has enjoyed a stable political climate and a growing economy. 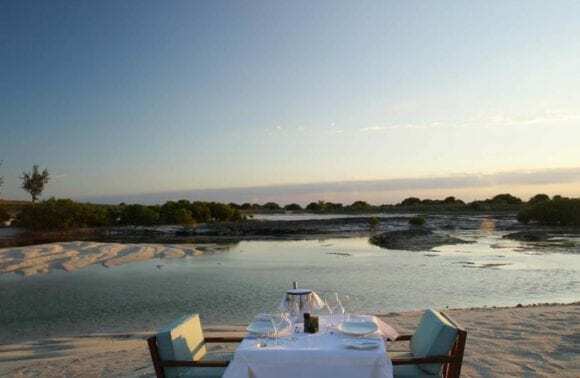 Tourism is fast becoming one of the country’s key resources, but the area around Coral Lodge 15.41 is still largely untouched. The sometimes rugged but unspoiled terrain and friendliness of the local people are a testament to this. Throughout the year daytime temperatures are between 28 and 30°C/82 and 86°F. In June, July and August (the local winter months) the daytime temperatures may be a little bit cooler. 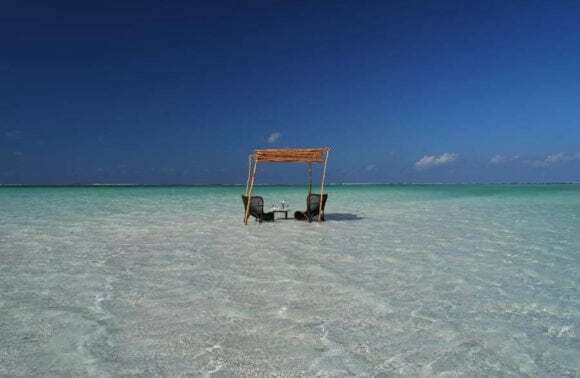 In northern Mozambique, where Coral Lodge is situated, the rainy season generally lasts from January to March. 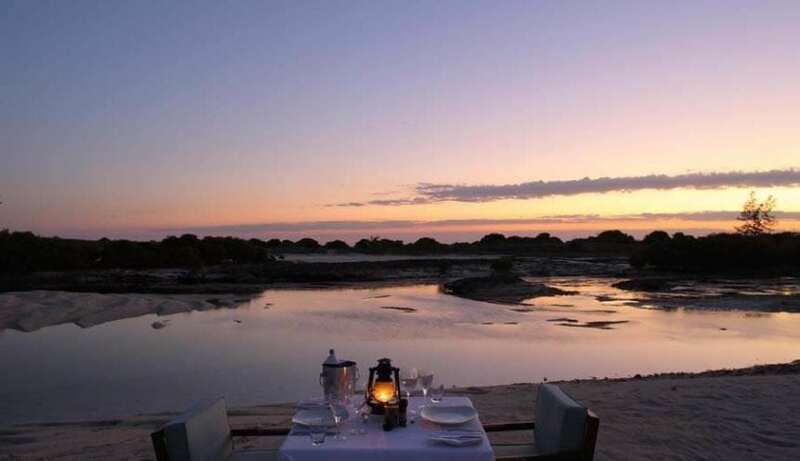 The best time to visit Coral lodge weather-wise is, therefore, from April to June and September to December. Although the resort provides impregnated mosquito nets, we advise you to take malaria prophylaxes. Please note that the nearest private health clinic is in Nampula city, which is 2 hours from Coral Lodge by car. The design of the resort is very open. 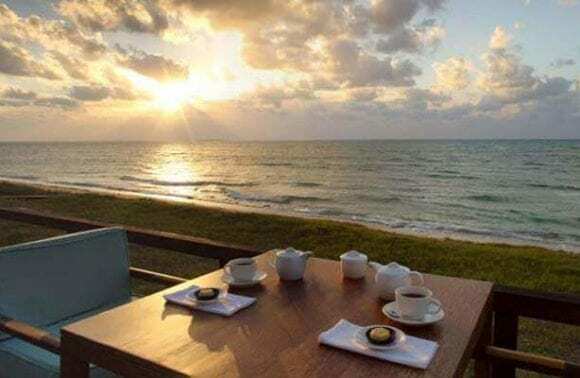 The villas are built on top of the dunes, which can be steep for young children, and they are situated right by the sea. Also note that the pool is unfenced and there are no lifeguards. Therefore, Coral Lodge is only suitable for young children if they are kept under constant parental supervision. Child-minding services are available. Light clothing, like linens and cottons, are the most comfortable clothes to wear in the tropical climate of Mozambique. If you visit during the winter months, you may want to bring a sweater as it can be a little chilly in the evenings. Flip-flops and/or aqua shoes are almost a necessity to walk around. 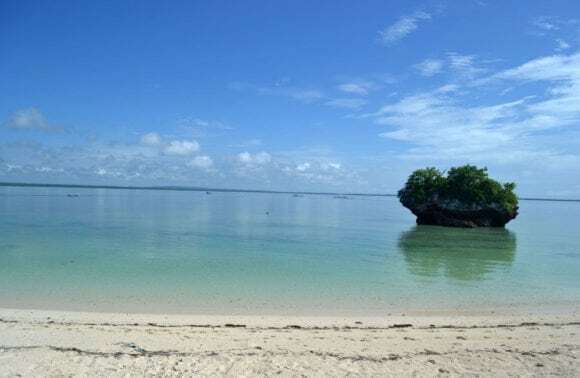 If you intend to visit Ilha de Moçambique, it may be wise to bring some sneakers as the island doesn’t have many paved roads. 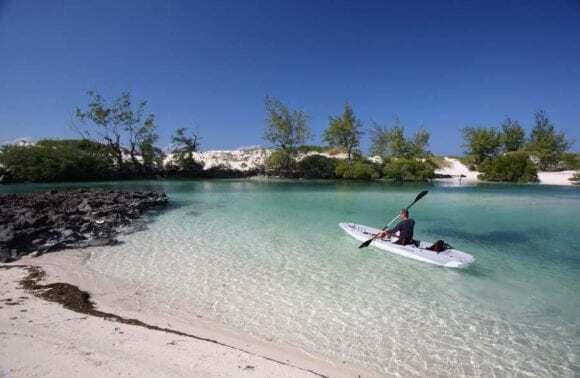 We advise a minimum two-night’s stay if your main aim is visiting Ilha de Moçambique. Two nights will also give you enough time to simply relax by the pool or combine this with Ilha’s history or any other activity on offer. 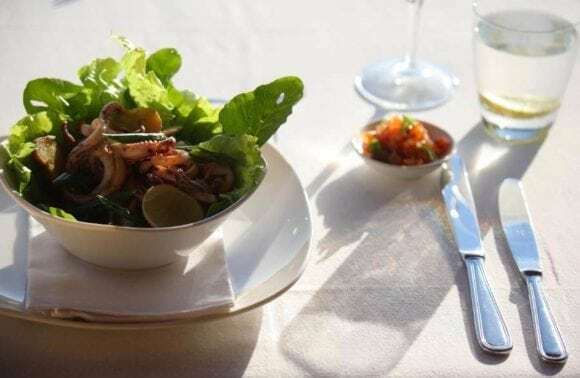 If you have come to unwind and enjoy the local culture at a more sedate pace, we recommend staying at least seven nights. 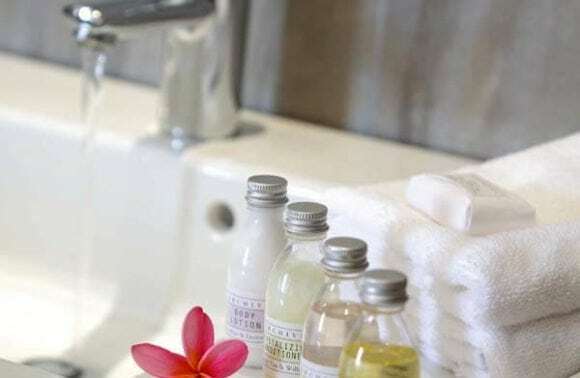 This will allow you to make arrangements for any cultural trips or other activities at your leisure, while taking full advantage of the relaxing atmosphere at the resort. 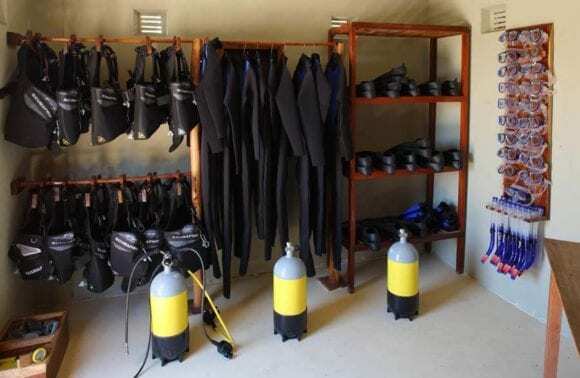 Because of its unique location, Coral Lodge can offer a great number of activities with lots of variation. You can simply enjoy the resort, the beach and the water sports or satisfy your curiosity of Mozambique rich history and the culture of the Macua people. 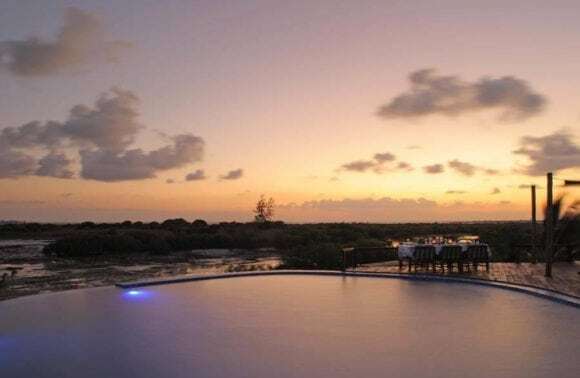 Coral Lodge is only 30 minutes away from llha de Moçambique. 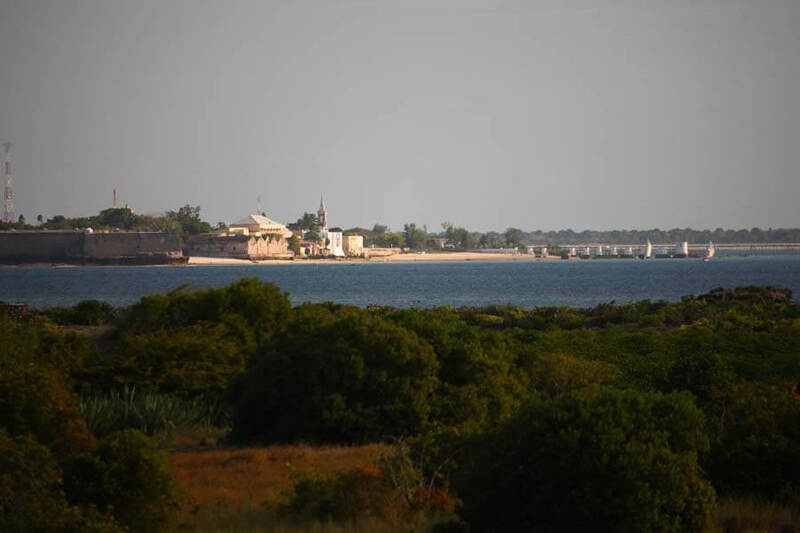 This is the only UNECO World Heritage site in Mozambique and one of the few on the African continent. 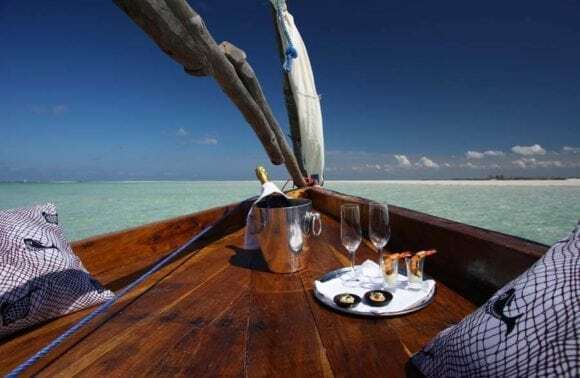 There is also the possibility to combine your cultural and/or beach holiday at Coral Lodge with a true Mozambican safari. 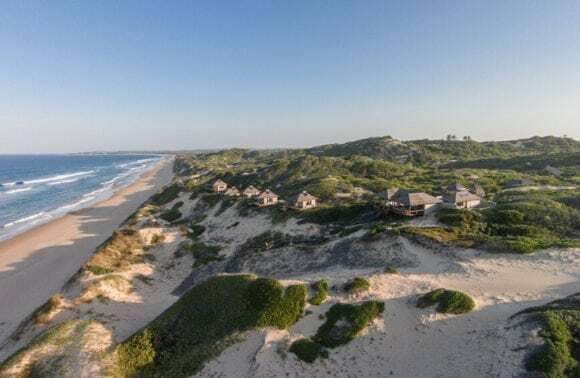 During September and October whales migrate along the coast where Coral Lodge is situated and they can easely be spotted from the islands in front of the lodge. 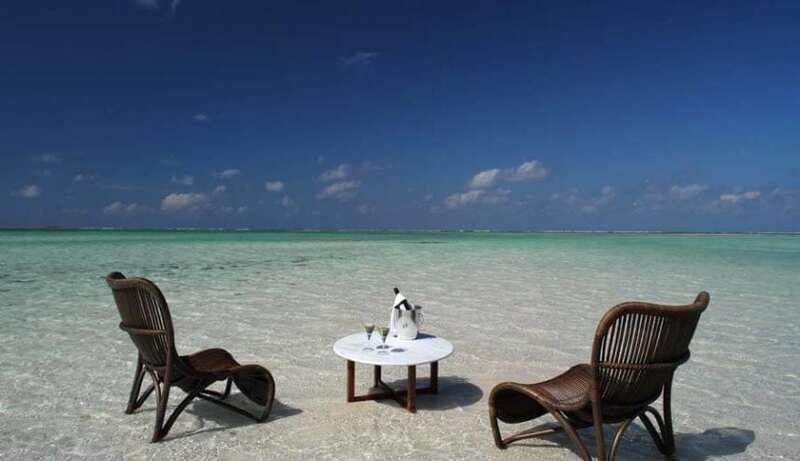 Great to combine it with a pick nick lunch at the beach. 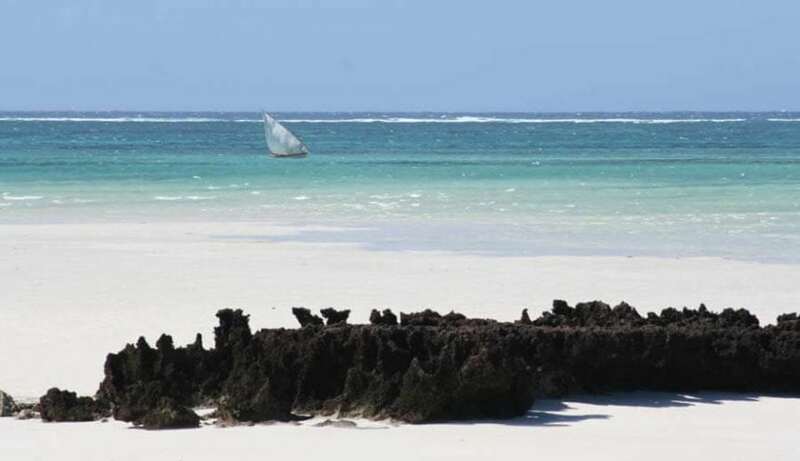 The resort will provide snorkeling gear and take you with a dhow (traditional sailing boat) to the best snorkeling spots in the area. 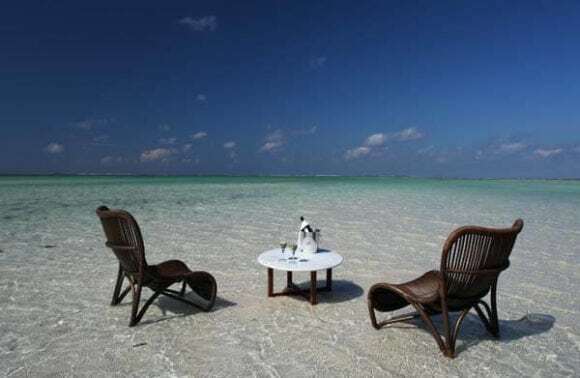 Afterwards, you can sail to one of the uninhabited islands, where a delicious picnic lunch will be served. 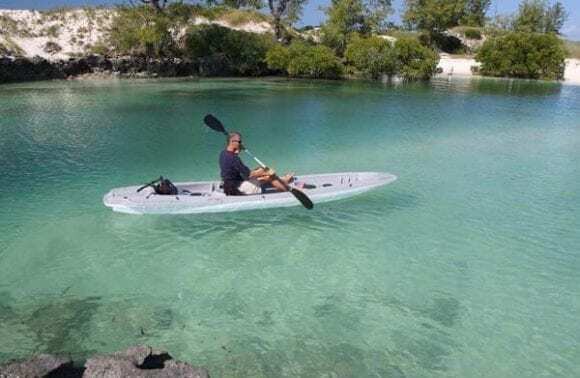 Guests can also snorkel in the safe estuary. 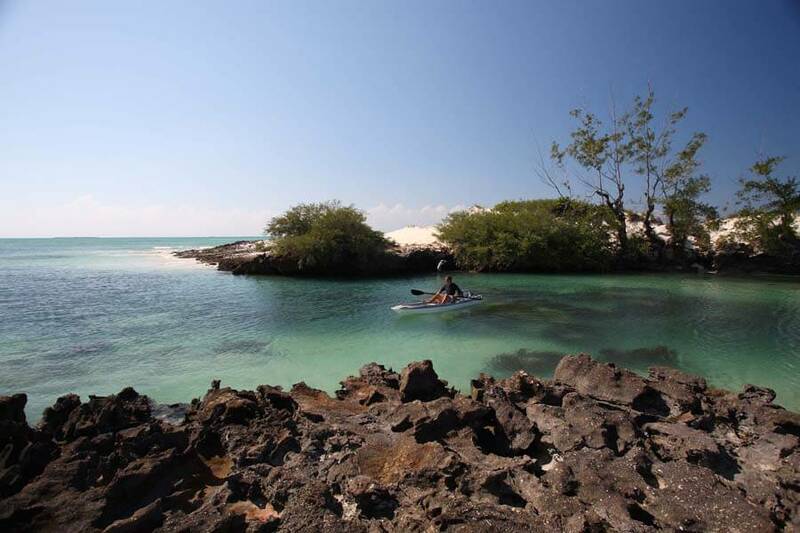 A great way to explore the mangroves is by canoe during high tide. 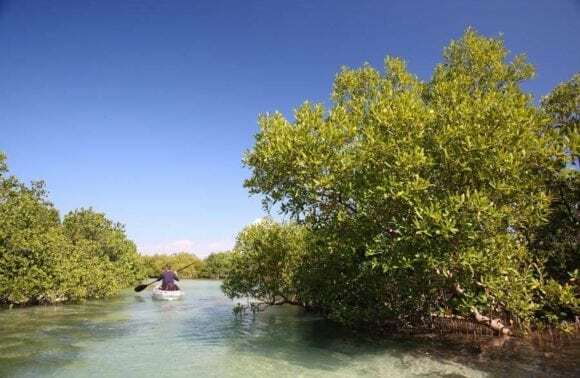 Find the birds, mangrove crabs and other animals on your own or with the help of one of the local guides. 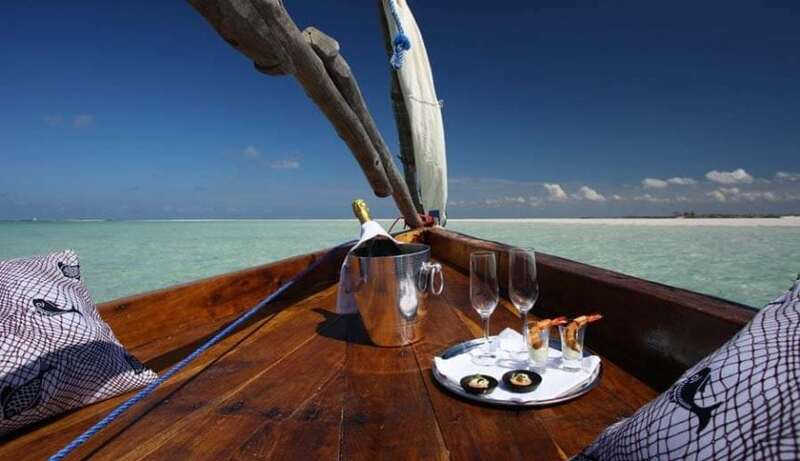 Learn to sail the traditional Mozambican dhow and try to catch some fish. 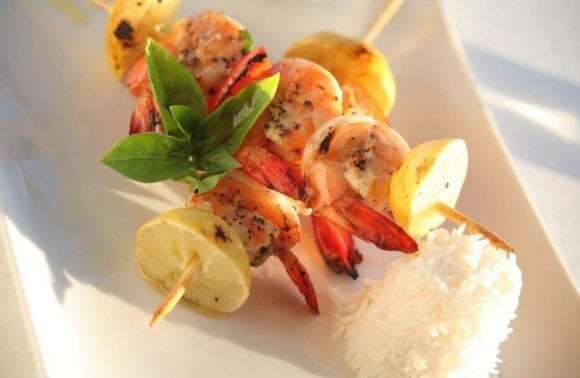 If you wish, the chef will be happy to cook any edible variety you catch for your dinner that evening. 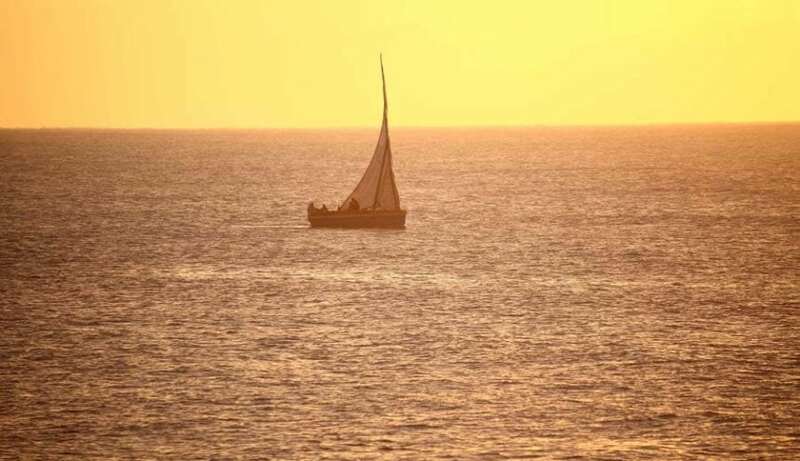 Or take a sundowner sail while looking for dolphins. 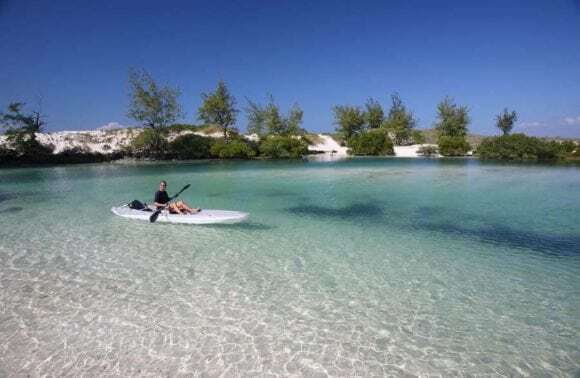 The constant breeze from the Indian ocean is perfect for learning to windsurf or for taking one of our surfboards for a sail over the crystal blue waters. 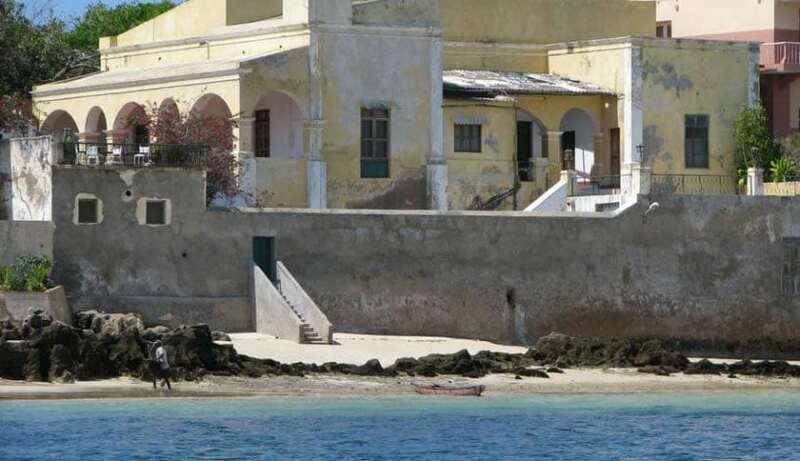 A visit to Ilha de Moçambique can’t be missed during your stay at Coral Lodge.This former capital of Mozambique, built by the Portuguese, still looks like it did three hundred years ago. 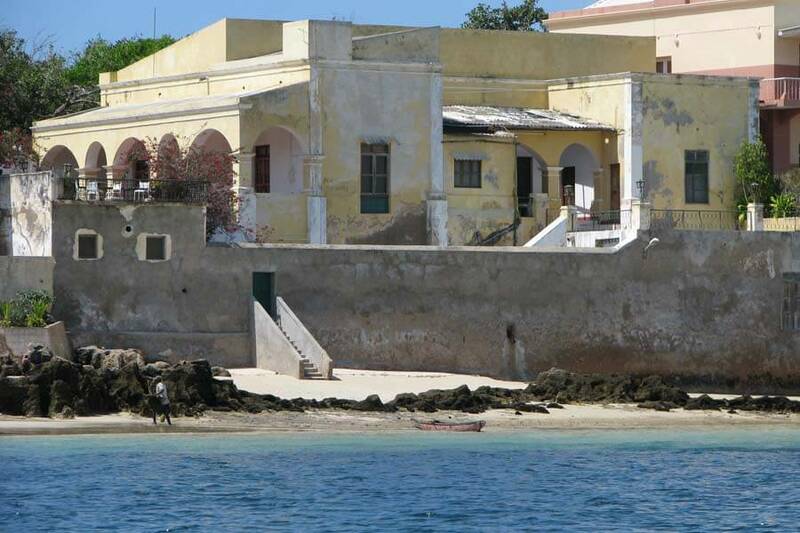 From the Lodge you look out on the San Sebastiao Fort (1558 AD) at the north point of the island. 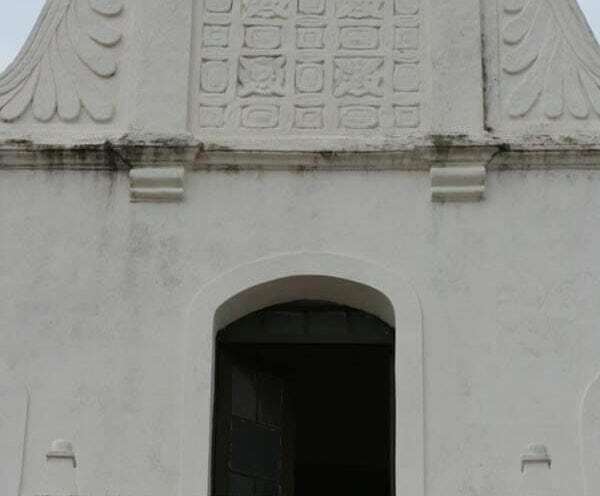 This fort and many other colonial buildings are remnants of bygone era, but they still preserve that history. 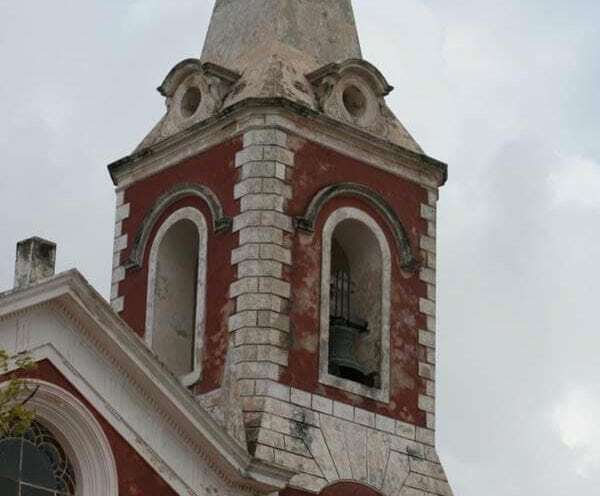 Explore the city at your own pace or let our local guide show you every special corner and tell you about its controversial history. 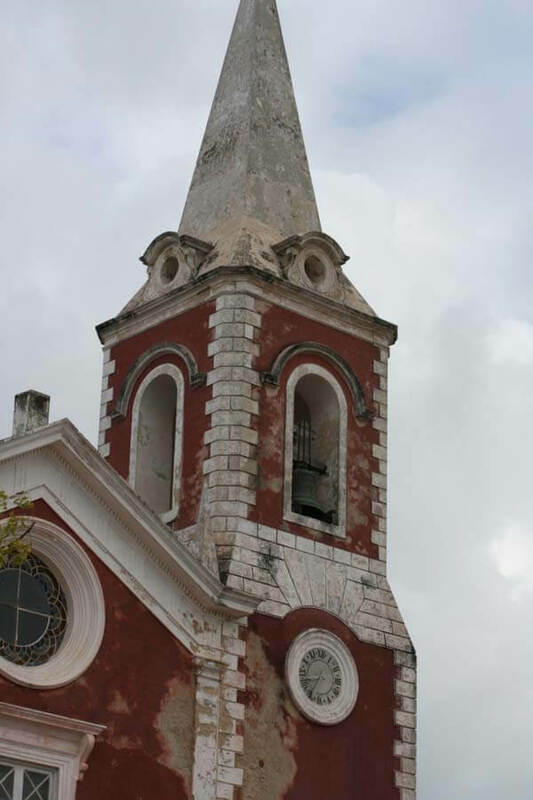 If you want to learn all about the Macua people of northern Mozambique, there are three close communities you can visit; Cabaceira Pequena, Cabaceira Grande and Chocas. 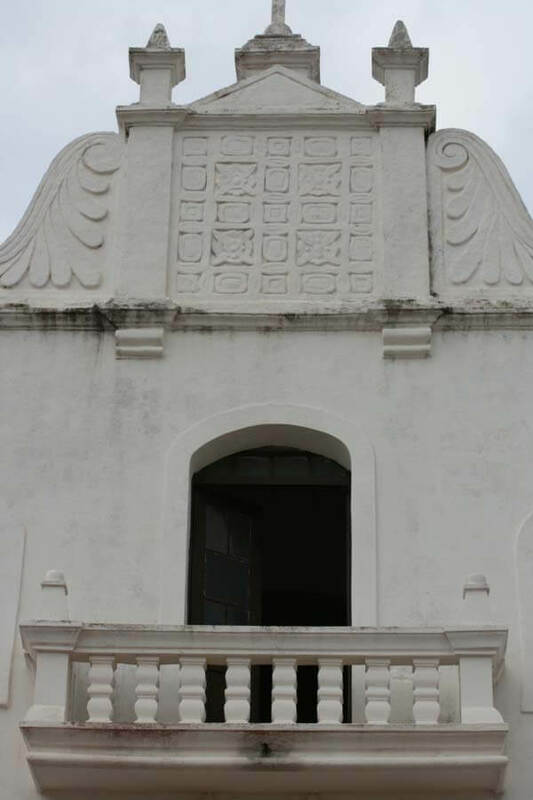 Most of the resort staff come from Cabaceira Pequena, where you can visit one of their houses, the well of Vasco da Gama and the graves and ruines of the Arab comunity that was founded in the 12th century. 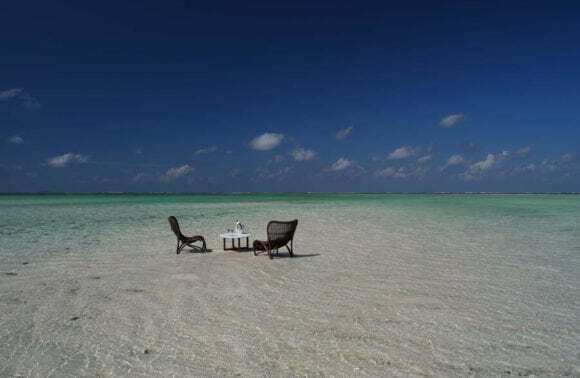 For a romantic lunch on an uninhabited island, you can be on your own to enjoy some snorkeling, swimming and each other. 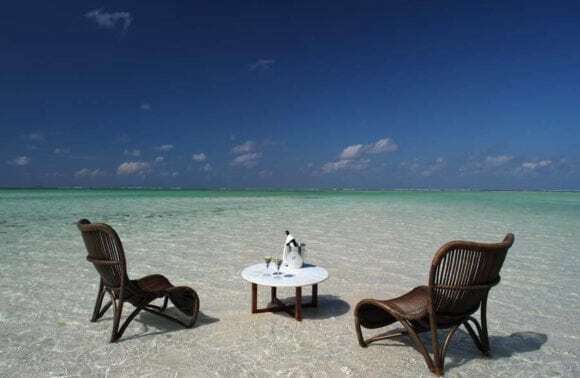 Have your dinner served in a secluded area on the beach, where you can enjoy the culinary food especially made for you. 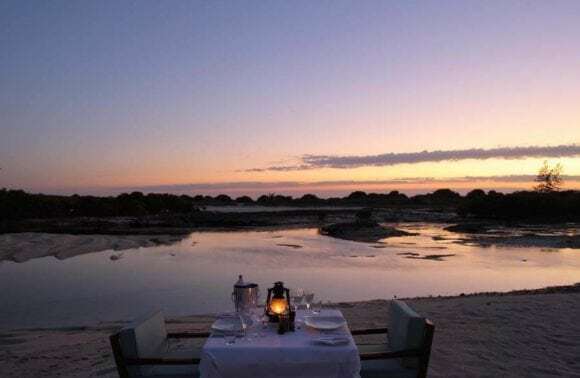 Spend your honeymoon or anniversary at Coral Lodge for the perfect romantic environment with utmost privacy and relaxation. 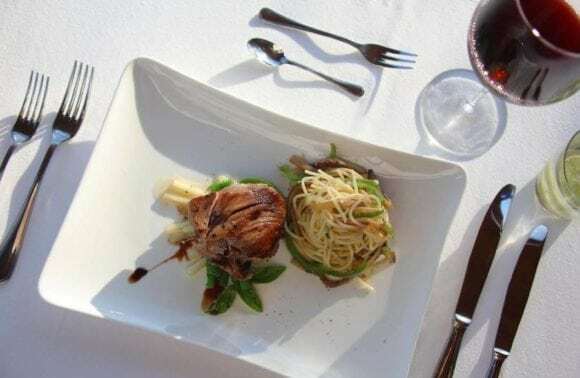 You will be surprised with special food and small romantic attentions. 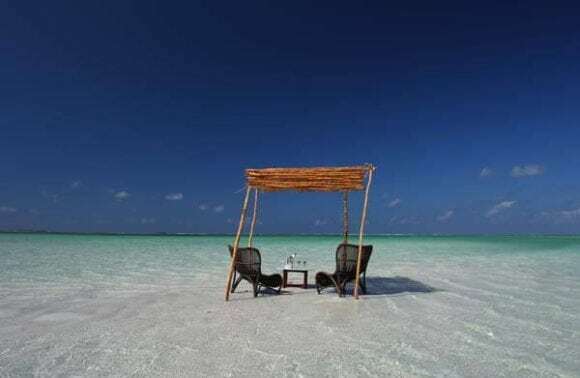 It will be the perfect setting to enjoy each other the most. 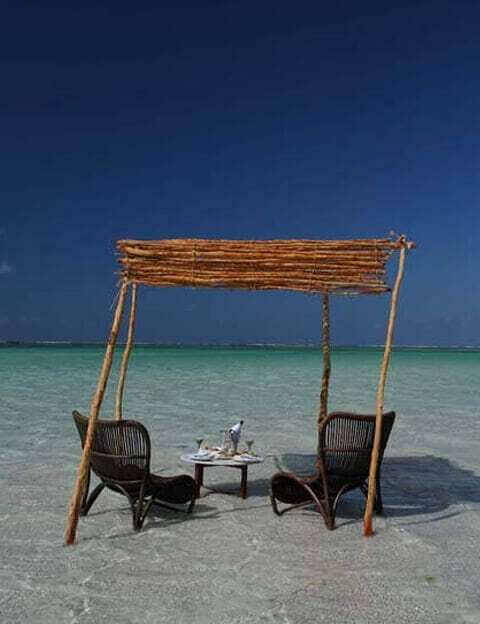 Contact us to find out more about honeymoon packages. 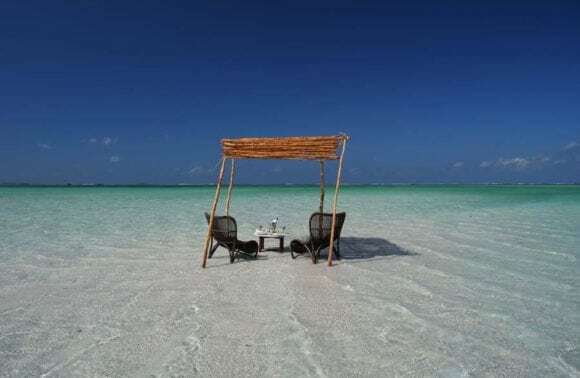 Although you cannot legally be married in Mozambique unless you are a Mozambique citizen, a traditional African “mock” wedding on the beach can be arranged exclusively for you and your guests. Contact us to plan everything for this once in a lifetime experience. 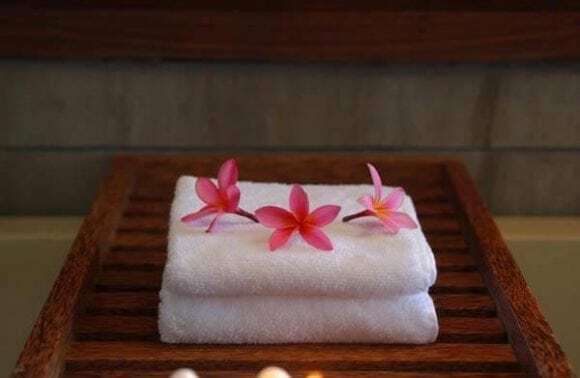 At a special secluded place on the peninsula near the spiritual baobab tree, massages and body treatments are offered by a qualified therapist. 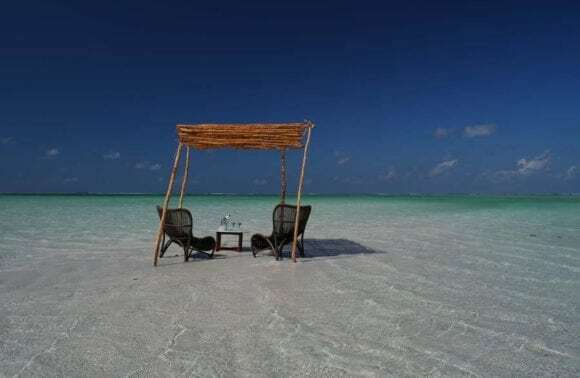 This is also a great place for daily meditation or yoga. Meditation cushions or yoga mats are available, so you don’t have to bring your own. And for ultimate body and soul visit the African Spa.